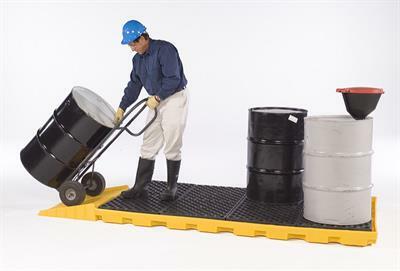 Justrite EcoPolyBlend™ Black Spill Pallet - 4 Drum - 28673 - EcoPolyBlend™ Low Line Pallets. 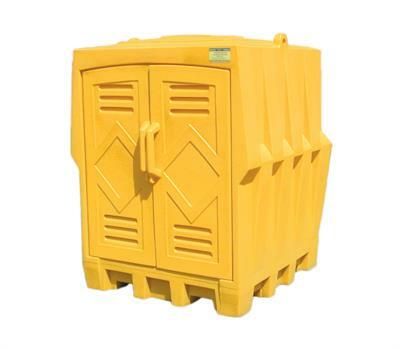 are made of 100% recycled polyetheylene - only 9' tall, they offer a comfortable working height during pumping or waste collection activities. 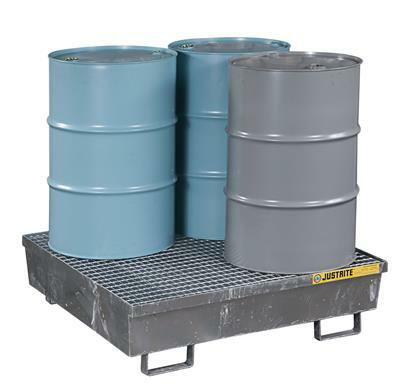 Ultra Hard Top P4 9637 Safely Store 4 Drums Outdoors. 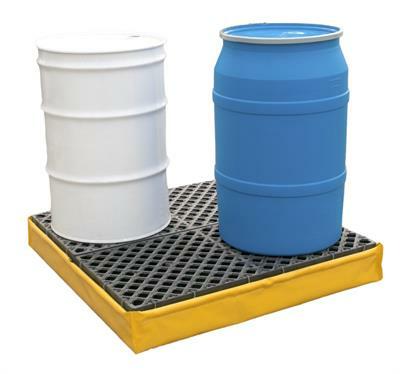 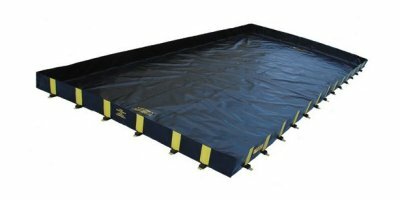 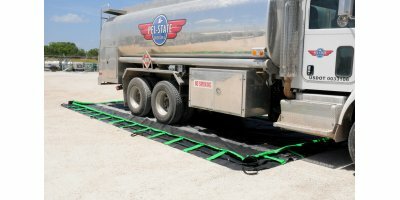 The Ultra-IBC Spill Pallet Plus provides economical and portable spill containment for IBCs, tanks and other large containers. 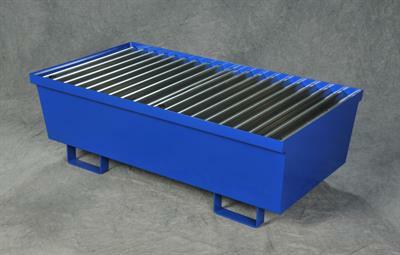 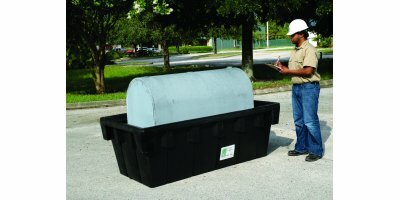 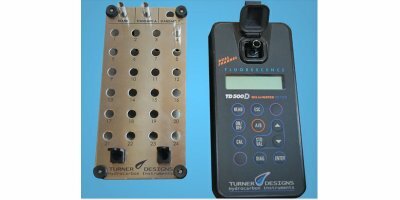 A 365-gallon containment sump helps meet EPA and SPCC spill containment regulations. 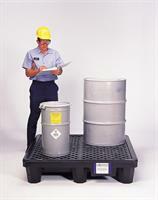 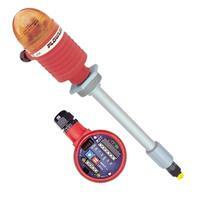 All polyethylene construction provides excellent chemical compatibility and forklift pockets makes it easy to move. 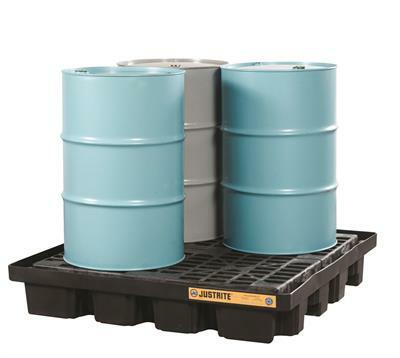 Eagle 1649 Outdoor Storage Building Poly 4 Drum - 4 Drum Poly Storage Building. 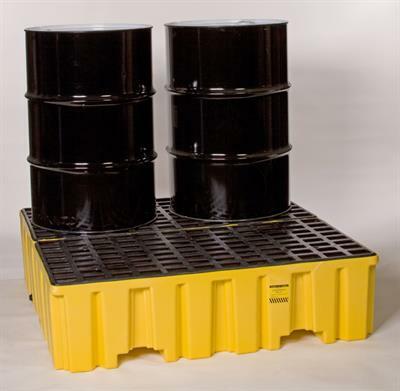 Securely store up to four 55 gallon drums. 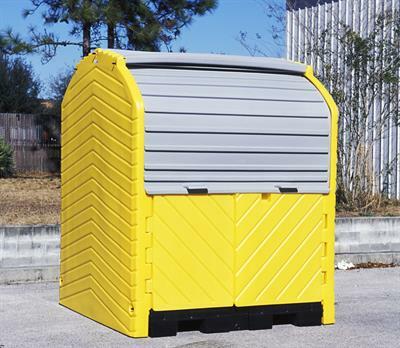 Features four-way forklift pockets, vented door louvers, removable grating and top hooks for moving. 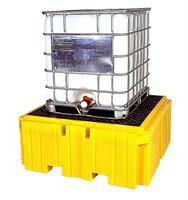 Note: Top hooks are intended only for moving empty building. 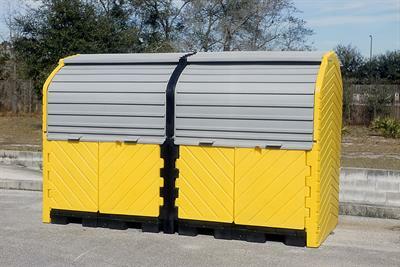 Door opening accepts up to a 48' x 48' pallet. 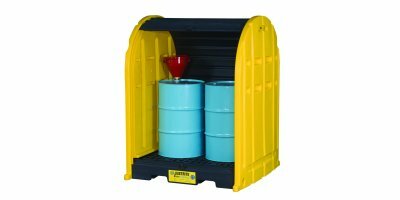 Ultra-Hard Top P2 -1083 Outdoor Secondary Containment Storage Systems Keep The Elements Out While Providing Convenient Access To Drums.